I arrived at Paperight in November of 2012 fresh out of my final LLB exams. I had seen Arthur talk about Paperight at a TEDxCapeTown event in June and felt compelled to get involved. I decided the law could wait and that I would see what I could learn from a start-up. Sitting on an exercise ball in the meeting room with the colourful stripy wall meeting the team for the first time, I felt that I had made a good decision. I was hired as an intern so I bounced around for a while doing various tasks and getting to know the different aspects of the company. My first task was to do some research into the Creative Commons license suite with the aim of determining whether or not we could add works carrying the Non-Commercial licence (CC-NC) to the Paperight site. Creative Commons licences allow copyright owners to specify which types of uses of their works they are okay with. The Non-Commercial license stipulates that the work may be used in the ways normally reserved for the copyright owner, as long as the use is “non-commercial” in nature. 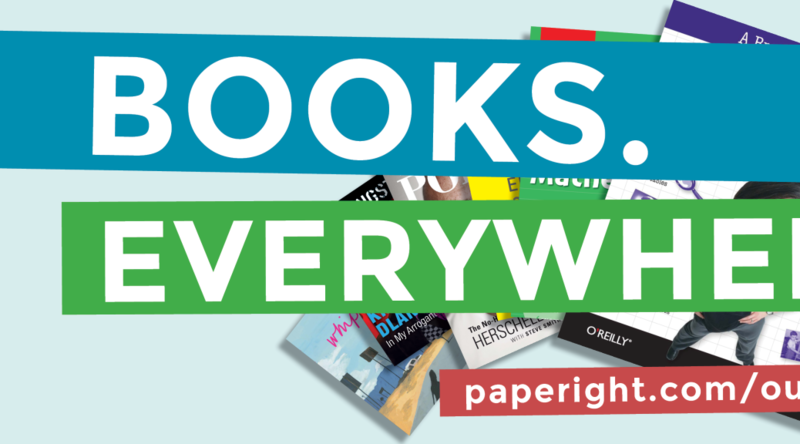 Although Paperight had a strong social mission, to improve access to books, it was a commercial entity. Arthur had chosen to make it a company very deliberately. He didn’t want to run it as an NGO. He wanted it to exist in the world and support itself and prove its usefulness. But being a for-profit company didn’t necessarily mean that we couldn’t use CC-NC works. It is the use that is important, not the nature of the user. In the past there were many materials in the Paperight library that were available for free download. However, by the time I arrived at Paperight a policy had been put in place that a minimum fee would be charged for each and every download. Although the minimum fee was low – only $1 – the fact that we were going to charge at all, to me, made the use commercial and thus we weren’t going to be able to put these works on the site. I don’t think this was quite the outcome Arthur was looking for, and perhaps it was due to my being so fresh out of law school, but I couldn’t really get around this outcome. At the same time as I was working on the CC research I was gathering content leads and adding them to the content leads list. This involved searching for information about popular books that we would want to put on Paperight. I began looking for books that were CC licensed or in the public domain, and gathered some general metadata about the books. I also gathered metadata for books that were in copyright and sorted them according to publisher so that Tarryn could see which publishers we needed to approach to get them signed up, and what books to ask them for. This process was a mixed bag of interesting finds and tedious data collection. But I did come out of it with a long “to-read” list. My functional authority was rather easy to fulfill for the first few months. My weekly routine included designing a poster, completing a few blog posts and trying to put together a media list. I found I wasn’t terribly good or tenacious at putting together a media list, so it came in good time when Arthur delivered a talk at TEDxCapeTown and got the attention of a PR agency, Atmosphere, who wanted to work with us. We went to a meeting in their plush offices at King James in Woodstock, and although it was a fruitful meeting, we simply didn’t have the budget to work with them. They recommended that we get in touch with Nicole Sochen, the founder of al dente PR, who would be more in line with our budget. At about the same time we were invited to attend the second round of the SAB Innovation Awards. As Arthur’s wife Michelle was due to deliver their child at the same time as the SAB workshop and adjudication in Kyalami, I traveled by myself to attend. There was some stiff competition. Luckily, Arthur managed to come up for the last day and aided me with the presentation to the judges. We, unfortunately, did not make it to the final six, but we were informed in November that we had won a seed grant of R100 000. We finally had the money to put together, we thought, a sustainable PR strategy. On 9 May 2012 we saw Paperight 1.0 go live, a site I began designing almost two years ago. I’m incredibly proud of the way it turned out. See it live at paperight.com. (It changed a fair bit over time, here’s a video showing an early interface design.) We wrote up a technical explanation of how we built it from open-source tools on the Paperight blog. 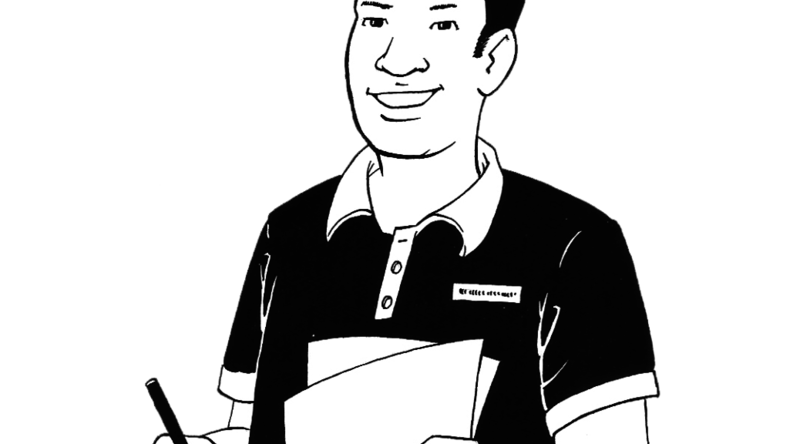 For content, our team created over 150 packs of past matric exam papers. It was a mammoth undertaking that now represents the single biggest library of exam packs in the country, that (depending on your local copy shop) is the best-value way to buy them anywhere. Team member Nick Mulgrew wrote up the arduous story on our blog. The team also produced our impressive Outlet User Manual (PDF download), which we’re now converting into a support website. I also crafted (and in a sense this took years) the Paperight story that will be my template ten-minute pitch presentation for Paperight. It’s had a dry run or two at small events, and gets it real debut at TEDxCapeTown on 21 July. It’s amazing to see a big, complicated idea finally distilled to a simple story. Less glamorous, I made an office and a team (here are the outlet guys) and a long list of lessons learned in the last nine months.